At 10:20 PM, a hush of anticipation fell over the crowd. 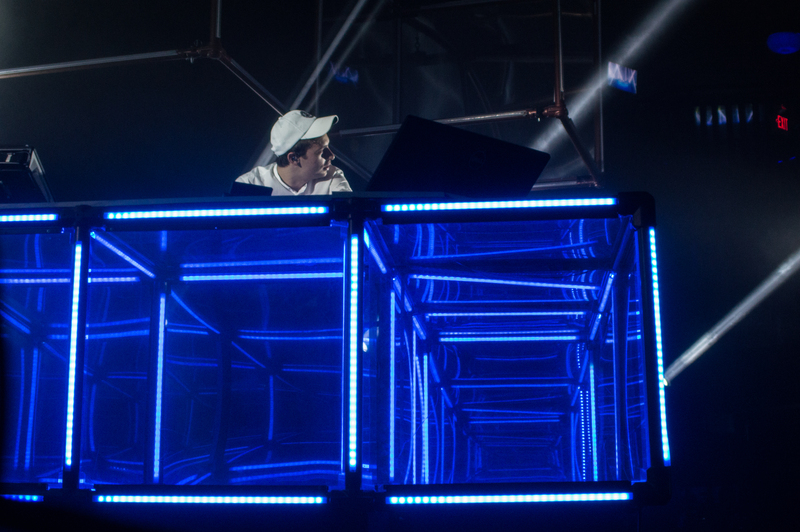 Flume would be on any minute, his setup of geometric rods arranged in cubic patterns hanging over the stage and a single desk equipped with laptops and cords tilted towards the audience. 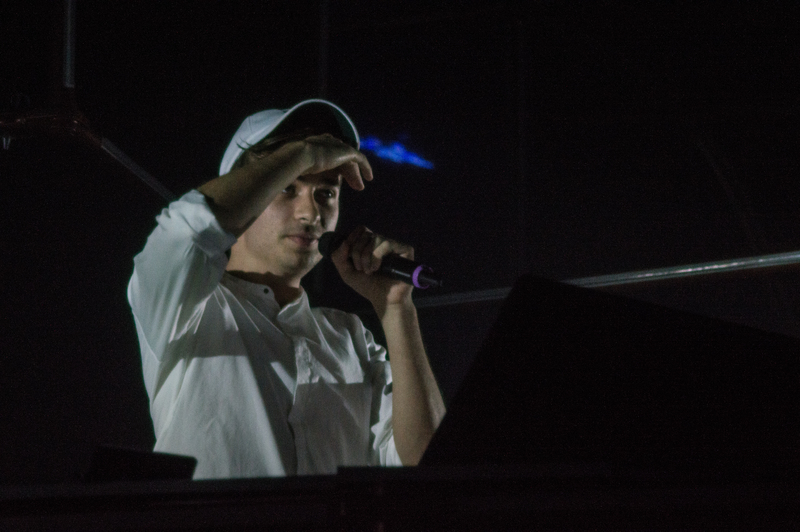 Harley Edward Streten, better known as Australian electronic music producer Flume, began producing as a teenager. When he was 11 years old, he received a disk for a simple music production software inside of a box of Nutrigrain Cereal. Equipped with 9 years of saxophone experience from his school band (band camp too), Harley started to experiment with music production. Over a decade later, now just shy of 25, Flume (who got his stage name from the Bon Iver song) is touring worldwide, seemingly endlessly, in support of his sophomore album “Skin.” Flume’s IDM (Intelligent Dance Music) employs glitchy, irregular sounds and synths to create tracks full of hypnotic repetition and buildup without traditional “beat drops”. According to Spotify, Flume is now the 44th most listened-to artist in the world, and he boasts a seven-digit yearly income (The New York Times). He was recently confirmed to perform at the ARIA Awards on November 24, and his January release “Never Be Like You” has achieved quadruple-platinum status. 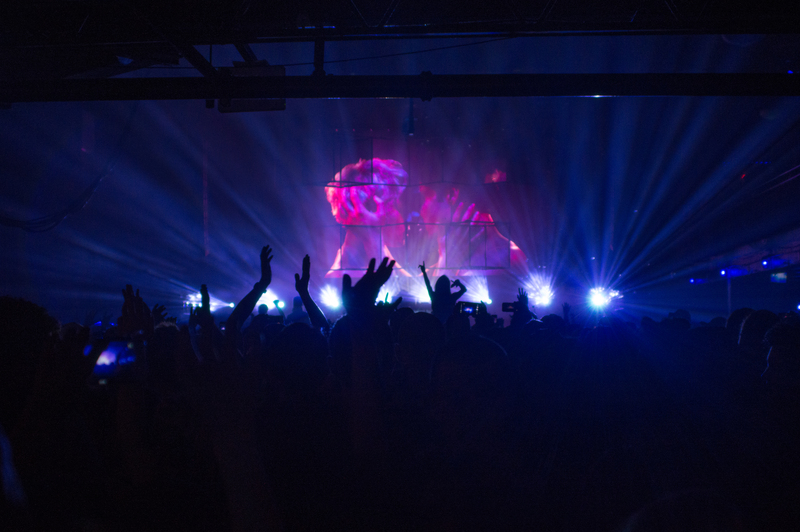 Performing a range of tracks from “Skin” as well as songs from his eponymous album, Flume kept the energy high and the atmosphere free at his Electric Factory performance. 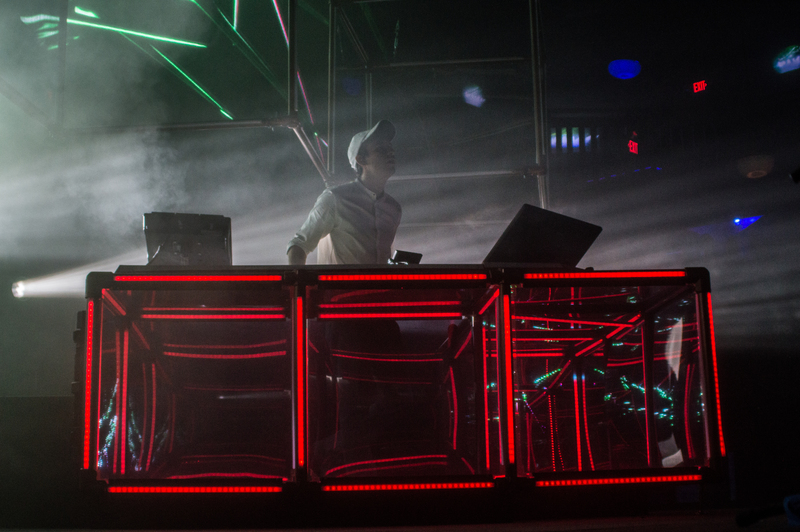 He left the crowd with an encore of “You and Me” before leaving the mass of sweaty bodies still in a euphoric trance.